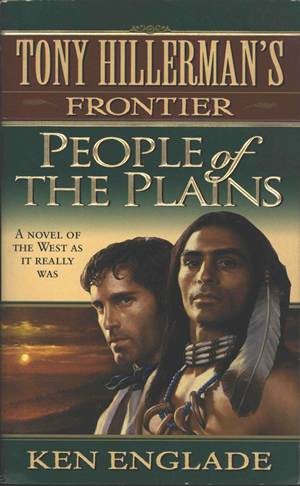 This is the paperback historical novel People of the Plains by Ken Englade. Published in 1996 by HarperPaperbacks, the cover illustration is by Steven Assel. Tony Hillerman wrote an introductory letter for this novel series and the series carries the title "Tony Hillerman's Frontier."